Quality System/Process audit and analysis. Develop a business wide quality system and implement. Add Six Sigma to your existing Quality system, train employees, and launch the Six Sigma initiative. Analyze specific quality issues, recommend and implement improvements. Lean Six Sigma manufacturing audit and process improvement or redesign. Develop new processes using Design For Six Sigma methodology. In the early phases of project development incorporate the appropriate language in the Construction Management Contract and in the Construction Contracts to insure the most productive relationship between Owner, Owner’s Engineer, Construction Manger, and Constructors. For projects that have already have contracts in place, audit the agreements and recommend changes to improve productivity. For projects that are already in the construction phase, audit the effectiveness of the construction management function and recommend improvements. Analyze the Inquiry to Remittance cycle for manufacturing optimization, including; sales proposal process, application engineering, manufacturing engineering, manufacturing, and all of the hand-offs within the process. Process redesign to incorporate productivity and quality improvements. Demand flow review of manufacturing process, with recommended improvements. Make versus Buy analysis including equipment and shift analysis. Specific quality issues analysis and recommendations. Complete O&M and major maintenance audit of existing operations to identify areas of improvement with a root cause analysis of any issues. For projects not yet in the O&M phase, development of the O&M strategy and specific O&M staff and cost build-up. Working with the project owner’s law firm, development of an O&M request for proposal and specific O&M contract, and help negotiate the agreement where those services are being contracted. Regulatory compliance audit of the Operation and Maintenance function with recommendations where gaps are found. Major Maintenance analysis for the project, develop a maintenance proforma and decision matrix for self perform versus contracted major maintenance, versus Long Term Services Agreement (LTSA). Working with the project owner’s law firm develop a request for proposal for major maintenance, manage the bid process, develop the LTSA contract and help negotiate. approaching the renewal date, analyze the effectiveness of the existing agreement and develop a strategy to improve the contracts and provide the owner’s with productivity. 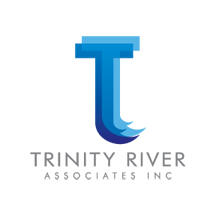 Trinity River Associates is home of TAB in The Woodlands, Texas. The Alternative Board TAB® is a community of owners of private businesses that assemble to overcome challenges, to seize new opportunities and to prosper through peer learning, executive coaching and unprecedented access to premier tools and resources. TAB members meet recurrently to leverage each other's successes and mistakes and to grow their businesses to the next level. Members also create more valuable and profitable companies with scheduled strategic business coaching sessions focused on business and personal growth.